DAVID LE/Staff photo. 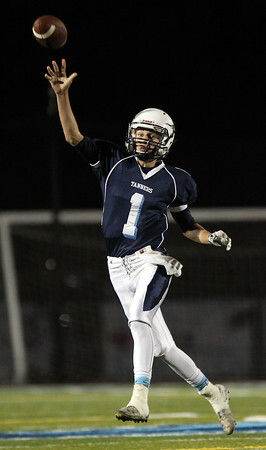 Peabody junior quarterback Matt D'Amato (1) lofts a pass towards a receiver during the third quarter of play. 9/25/15.